Dr. Mike Majmundar, double board certified facial plastic and reconstructive surgeon, offers Restylane Defyne treatment to the residents of Atlanta, Sandy Springs and the surrounding communities in Georgia. Restylane Defyne is part of the Restylane family and, like most fillers, is a hyaluronic acid. It’s different in that this filler has the ability to ‘move’ with your face. 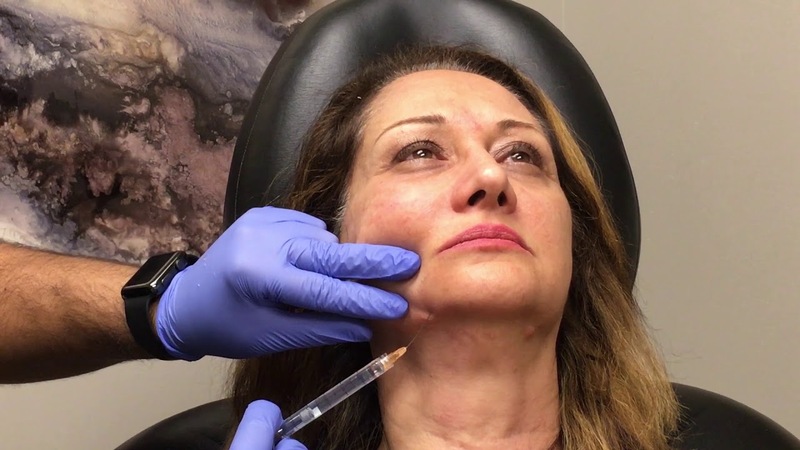 Unlike older hyaluronic fillers that can ‘bunch up’ or ‘lump up’ around the mouth or eyes when smiling or animating, the new Restylane Defyne product moves with your face to create a natural and not overfilled appearance. Restylane Defyne, like it’s thinner sister product Restylane Refyne, consists of new XpresHan technology that allows the filler to ‘stretch’ with movement and then go back to its original form at rest maintaining natural expression. Anyone with lines around the mouth such as nasolabial folds, marionette lines, and upper or lower cheek lines is a candidate. The product is smooth and is injected in our practice with a blunt micro cannula decreasing bruising by greater than 95%. Restylane Defyne is manufactured with lidocaine to make the treatment more comfortable. What should I expect after a Restylane Defyne treatment? Since we use blunt cannulas, the after effects of filler treatment are minimal. Most individuals will have minimal swelling for 24 hours with a greater than 95% chance of no bruising. Because of its unique technology, many patients don’t swell at all. The results are seen immediately. It is FDA approved to last 1 year.